Time is running out to submit applications for the BME Mentoring Scheme 2019, although the deadline has been extended to midnight on Sunday 17 February. 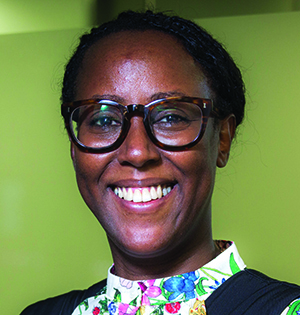 For a second year, PRWeek is backing the initiative that aims to increase the number of PR professionals from ethnic minorities in top UK roles. Eighteen senior industry figures from BME (black and minority ethnic) backgrounds have agreed to be mentors this time, up from 15 in 2018. 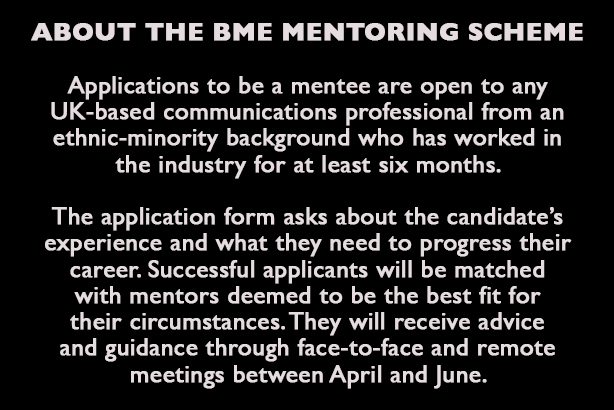 BME comms professionals can apply to receive the benefit of the mentors’ experience and expertise to boost their careers. The scheme is organised by BME PR Pros, an organisation founded by comms consultant Elizabeth Bananuka, in conjunction with PRWeek UK. The BME PR Pros/PRWeek UK Mentoring Scheme has a mentor to support black, Asian and ethnic minority professionals in a range of comms roles and at every stage of their career. From rising star Dev Mistry, the perfect mentor for a recent graduate needing support to navigate the world of work and this crazy sector, to incredible business minds like Reesha Rajani and Claire Quansah, the perfect mentors for future agency MDs and owners. From an award- winning creative director to a couple of PRWeek 30 Under 30, from internal comms experts to social-media stars. From Coutts to Bupa, Weber to Ketchum, Google to Johnson & Johnson, they bring a wealth of client, agency and in-house experience. 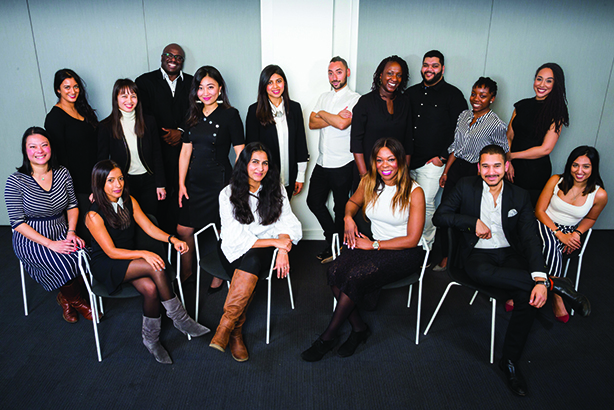 The mentors, as before, are a fiercely talented group, passionate about diversity and keen to support talented BME PR Pros. Securing a place on the scheme doesn’t just give mentees access to incredible support, they join the BME PR Pros community; a positive, friendly, ambitious force for good. I’d urge BME PR pros to apply. Visit bmeprpros.co.uk for a link to the form.